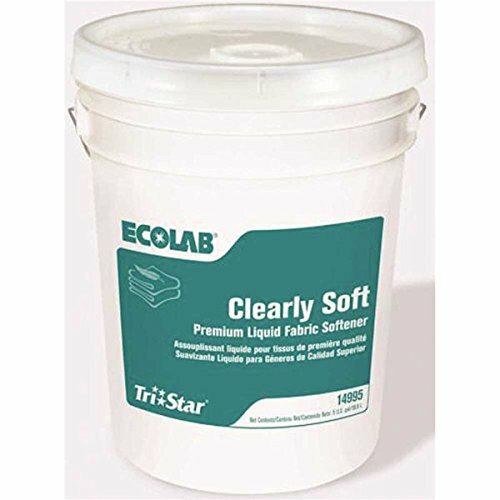 Clearly Soft Premium Liquid Fabric Softener gives your towels, bedding, and other fabrics a luxurious softness and a fresh, clean springtime scent that delivers the restful, upscale experience your guests expect. Provides customers with a softness that is seldom seen in the demanding industrial laundry environment. Dose as high as 8 oz. per 100 lb. load with no effect on whiteness or absorbency. 5 gallon pail. Gives your towels, bedding, and other fabrics a luxurious softness and a fresh, clean springtime scent that delivers the restful, upscale experience your guests expect. Provides customers with a softness that is seldom seen in the demanding industrial laundry environment. Dose as high as 8 oz per 100 lb load with no effect on whiteness or absorbency.